Here is a cute stocking stuffer for your Paw Patrol fan! 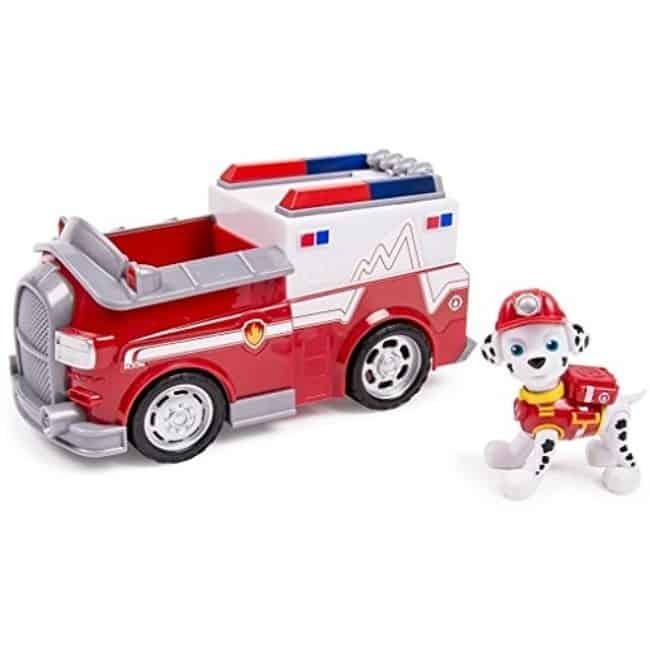 The Paw Patrol Marshall's EMT Truck, Vehicle and Figure is on sale for $11.04 at Amazon right now. That's 45% off the list price of $19.99! Paw Patrol EMT Marshall and EMT Ambulance are ready to save Adventure Bay! Collect all the loveable Paw Patrol Action Pack Pups and work together as a team with Chase, Rubble, Skye, Zuma, and Rocky. The Paw Patrol EMT Marshall and EMT Ambulance are made for kids ages 3+.